The expansive resort has an extensive array of lagoons housing hundreds of marine animals. There is also a predator tunnel, where visitors can get up close and personal with sharks and manta rays. There are so many water-based activities, you probably won’t have time to see all of them. 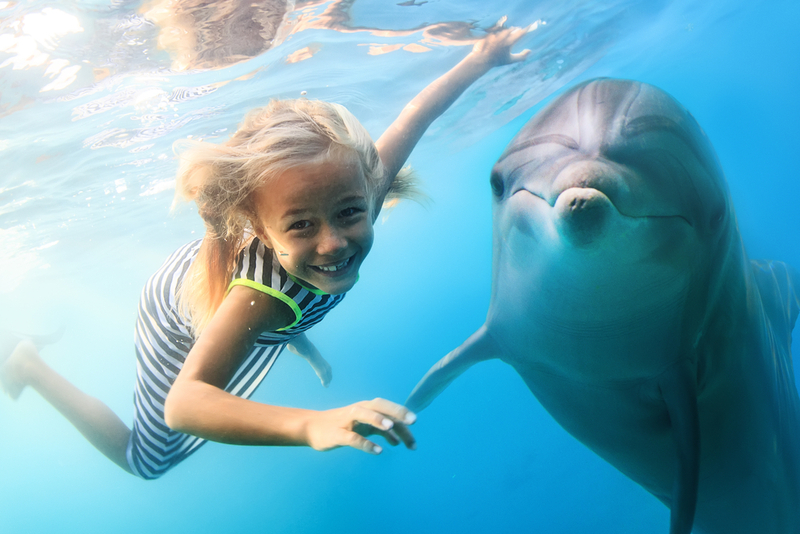 Between the Royal and the Reef towers, you’ll also find the gorgeous Dolphin Cay. Here you can swim and get a photo with these gentle creatures. In addition to the dolphin encounter at Dolphin Cay, there is also a saltwater pool where you can get acquainted with playful sea lions. For the fitness enthusiasts, Atlantis hosts a sunrise fitness program which includes paddleboard pilates. Speaking of paddleboarding, you can paddleboard and kayak throughout Dolphin Cay. Snorkeling is also available as well as several educational experiences including the Trainer for a Day programs. These programs allow you to get a behind the scenes look at how trainers take care of the 50,000 marine animals found throughout the resort. If all the water activities centered around Dolphin cay aren’t enough to make you book a flight today, take a look at what Aquaventure. The onsite water park has so much to offer for families and adults alike. The park features over 140 acres of fun with water rides, pools, private cabanas, two lazy rivers and even private beach access. There are eight waterslides perfect for every level of thrill seeker. If you’re looking for the ultimate water ride, head to the Abyss, a 200 long slide with a nearly vertical drop. For the little ones among you, make way to Splashers, a water playground safe for the kiddies. Aquaventure also grants guests access to five miles of beautiful, white-sand beaches to spend the day relaxing in the sun. There are four beaches to choose from: Cove Beach, Atlantis Beach, Paradise Beach and Paradise Lagoon Beach. 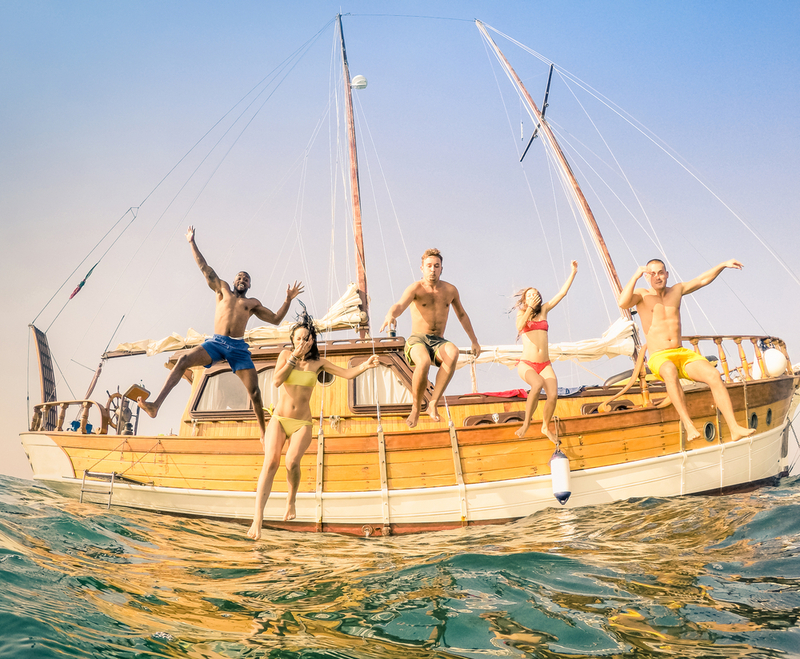 For the more adventurous among you, there are several adventure travel activities you can book during your Atlantis stay. Snorkeling, scuba, snuba and so much more. Snorkeling here comes in different forms. 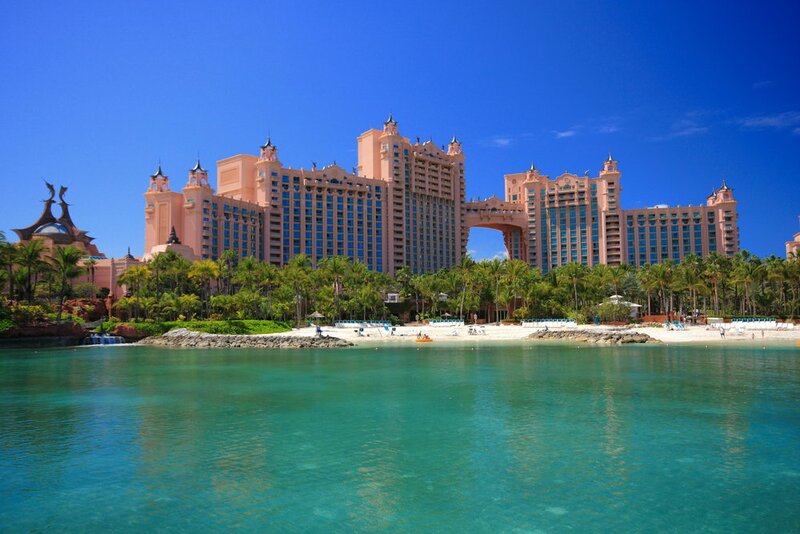 You can snorkel off of a 45-foot yacht or swim along with sharks along the ruins of Atlantis. Atlantis also offers a stingray encounter at the Stingray Lagoon. For the kids, there is the estuary lagoon which offers water mammal feeding right next to the Coral. Looking for an adventure that’s a little more luxurious? Book a private yacht or a fishing boat for the day. Aboard the yacht, you can enjoy watersports and freshly-prepared lunches. Booking the fishing boat also grants you the ability to fish in the open ocean. It wouldn’t be the best beach resort in the world if it didn’t have you covered for those bad weather days that even the Bahamas has. If you happen to come across a rainy day on the island, there’s no need to miss out on fun at Atlantis. You can catch a movie at the Atlantis Theatre, which plays current Hollywood movies, or book your own Pottery in Paradise class to get your creativity flowing. Atlantis is also home to a 2,000 volume library where you can spend an afternoon reading your favorite fiction, history or science book as well as works by local authors. If you still want to get out and about, book the Bahama Brews tour, which will have you hopping from one local brewery to the next. If teeing off is a must for your vacation, make sure to book a round at Atlantis’ onsite golf course. 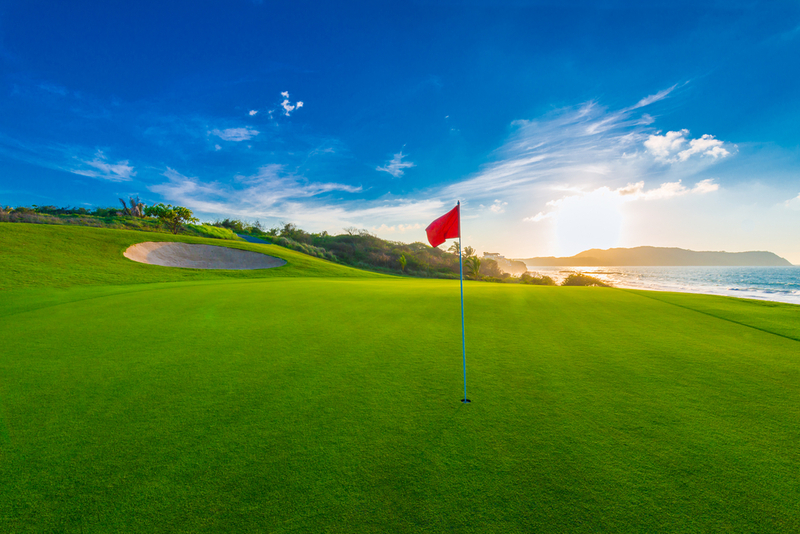 Designed by Tom Weiskopf, Ocean Club Golf Course has won countless accolades including grabbing a spot on the top 5 of the best casino golf courses list created by Golf News Net. If you feel you’ve conquered this award-winning course on Paradise Island, head to the other side about 50 minutes away and try out the Albany Golf Course. This is a links-style course that measures over 7,400 yards from the back tees. It is an exclusive members-only course that will definitely be worth the trip, especially for golf enthusiasts. Developed by world-renown professionals, the Albany Golf Course is the home to sports history. 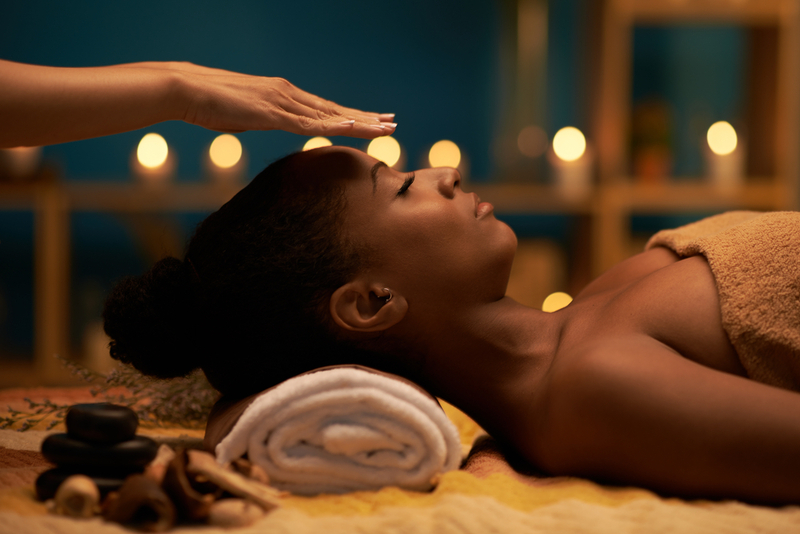 Let the Mandara Spa be your beacon of relaxation as you make the most of your Bahamian vacation. Here you can experience a variety of luxurious treatments like facials, customized couples massages, body scrubs and treatments, a full array of salon treatments and fitness classes. The Mandara Spa’s fitness offerings include a body composition analysis that can determine your overall wellbeing and guide you to different exercise regimens. Private yoga classes and personal training are available for those looking to get in shape with a personal touch. If a challenging group working is more up your alley, get ready for a pilates studio class. If you’re looking to spice things up during your Caribbean vacation, Atlantis has plenty of options. The onsite nightclub, Aura, is a great place to dance the night while enjoying some great cocktails. Atlantis is also home to a comedy club, Jokers Wild which hosts comedians like Drew Thomas and Corey Alexander on a regular basis. 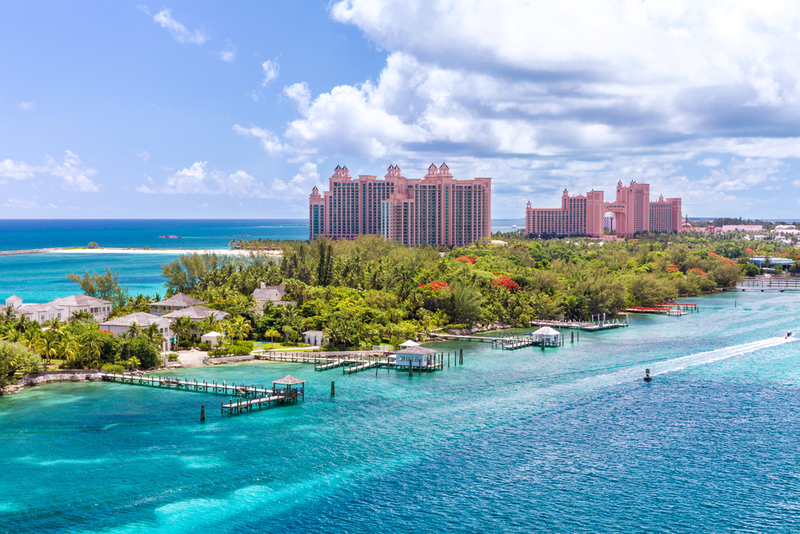 Visitors to other hotels, resorts or those arriving at the Bahamian islands via cruise ship can still experience Atlantis via its day pass program. Day passes can be purchased for a most of the activities available at the resort. 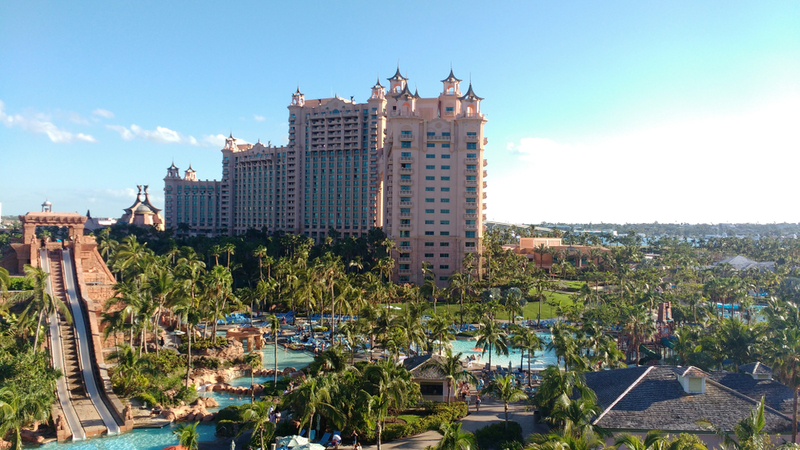 If you are thinking of taking a vacation to the Bahamas but aren’t trying to stay at Atlantis, consider getting an Atlantis day pass in order to get the full island experience. Stay at one of these other Paradise Island resorts (that could also be considered some of the best beach resorts in the world) and get in on the action!